Over the years many people have asked if we have a showroom. While our extensive product line does not allow us to fully display all of the most beautiful furniture in the world, we do invite you to visit our office in Jasper, Ga.
Rather than a huge fluorescent-flooded megastore, come and feel the fabrics, and look at the finishes. 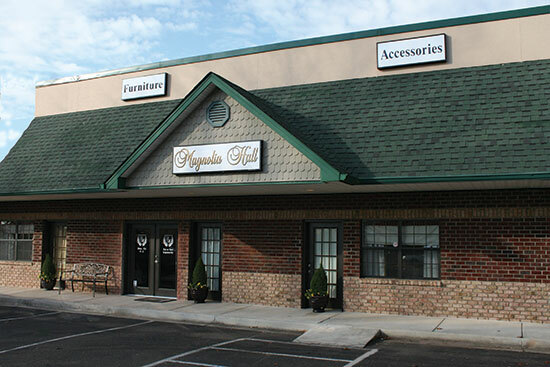 You can benefit from our free design service, and most of all, have a pleasurable shopping experience at Magnolia Hall. We know it is very important for you to feel comfortable with your designing decisions. To that end, we invite you to come and get to know our most important asset…….us! You will find that we are almost as excited about your romantic furniture choices as you are. We love to see happy customers!